The new TV deal meant the 20 clubs in the Premier League received about £2.4 billion in the season just ended. This was increased by £800 million from last year’s. The least ranking team Sunderland received £93.471 million which is more than what Leicester City winners of the 2015/16 season received in £93.219 million. 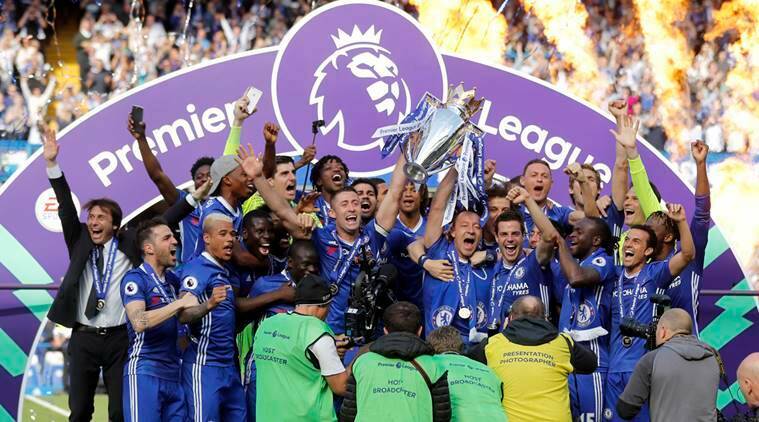 The winners this term Chelsea FC received £150.8 million, an increase of 50 per cent – commercial deals, broadcast rights and the actual prize money. The money from the central commercial deals, foreign and domestic broadcast were shared. A quarter is prize money, based on the club’s position in the league; another quarter is facility fees for each domestic broadcast. Arsenal received the most payment last term at £100.9 million but this year only the relegated fees received less. The Premier League strives to make payments equal. The ratio between the most paid and less paid is 1.61:1, the lowest of European top leagues. Aside Chelsea, Spurs, Man City, Liverpool and Arsenal got the highest payment in that order. The differences in UK live TV appearances when factored substantially helped teams get more money. Only Liverpool had more at 29 games compared to Chelsea, City and Man United’s 28. Aside the relegated three, every other club received above £100 million from the Premier League. The relegated sides received close to the round figure, compared to last season where Aston Villa, Newcastle United and Norwich received almost £41 million each. When payouts for Cardiff, Fulham, QPR, Reading and Wigan are added, it is close to £220 million.